eric forbes’s book addict’s guide to good books: Rawi HAGE wins the IMPAC! Rawi HAGE wins the IMPAC! 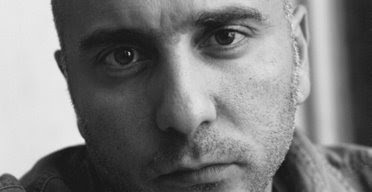 DUBLIN, IRELAND — Lebanese Canadian novelist Rawi Hage has won the 2008 IMPAC Dublin Literary Award for his sombre and compelling first novel, De Niro’s Game (House of Anansi Press, 2006), a coming-of-age story of two childhood friends who take different roads to survive amidst the civil war in Beirut. With this win, Hage has beaten Javier Cercas, Yasmine Gooneratne, Gail Jones, Sayed Kashua, Yasmina Khadra, Andreï Makine and Patrick McCabe for the world’s richest literary prize. At the longlist stage, he beat such literary stalwarts as Margaret Atwood, Thomas Pynchon and Philip Roth. (I read somewhere that the IMPAC is not the biggest single-title literary prize out there: the Spanish Premio Planeta de Novela, for example, hands out a whopping €600,000 to the winner, but it’s the biggest for fiction published in English.) This is a record in itself for this is the first time a first novel has won the award. The amazing thing is, Beirut-born Hage wrote De Niro’s Game in English, his third language, but grew up speaking Arabic and French. The judges praised De Niro’s Game as “an eloquent, forthright and at times beautifully written first novel. Ringing with insight and authenticity, the novel shows how war can envelop lives.” and for its “originality, its power, its lyricism, as well as its humane appeal ... [calling it] the work of a major literary talent.” Montreal-based photographer Hage is the second Canadian to win the award; the first was Alastair MacLeod in 2001 for his novel, No Great Mischief. De Niro’s Game was shortlisted for both the Giller Prize and the Governor General’s Award in 2007. Hage has a new novel out later in the year, Cockroach, published by House of Anansi Press.